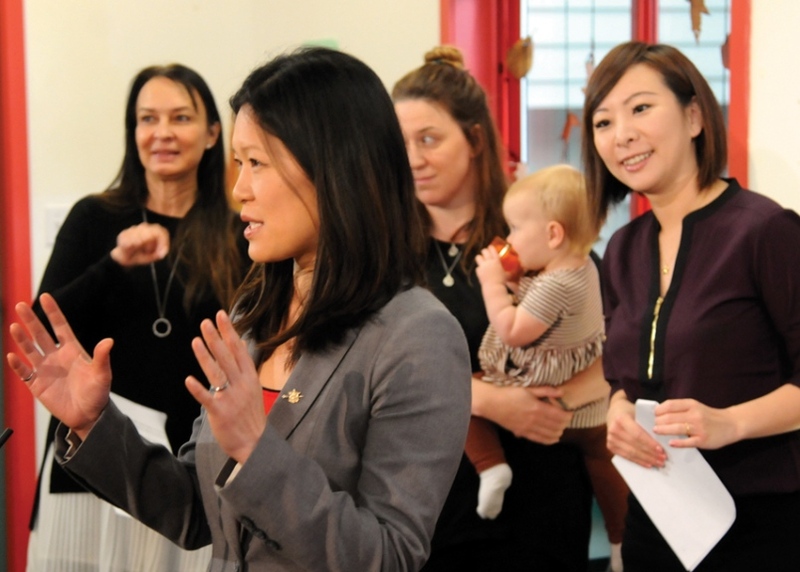 The province announced $431,950 in funding for licensed child care spaces at two new centres in North Vancouver on Monday. Kuddles Early Learning Centre, set to open March 1 at 1396 Marine Dr., is receiving $181,950 to help create 92 new licensed spaces – 36 infant and toddler spaces, and 56 for children aged 30 months to school age. Kids & Company Corporate Child Care Services at 221 West Esplanade, which opened in January, received $250,000 in funding to create 80 new licensed spaces – 48 infant and toddler spaces and 32 for children aged 30 months to school age. Centre staff will collaborate with the Tsleil-Waututh Nation to teach the children about Indigenous culture through activities like language programs and drumming. Kids & Company is also working with Harvest Project to support low-income families at the centre. At Kids & Company, parents will have access to free workshops on topics such as toilet training and first aid, with dinner and child care provided while the sessions are running. These North Vancouver facilities are among the first to receive financial assistance under the Childcare BC New Spaces Fund, which will create approximately 22,000 new licensed child care spots over the next three years. It was announced in December that the owners of Smiling Stars Daycare in Edgemont Village received $250,000 under this funding program to renovate a commercial space to create 28 new licensed child care spaces – 12 infant and toddler spaces, and 16 spaces for children aged 30 months to school age.